This unit is packed with hours of fun. Kids can run through the Obstacle Course, go down the covered slide, bounce around, run through the pop ups and much more. Good for 2-6 years old. 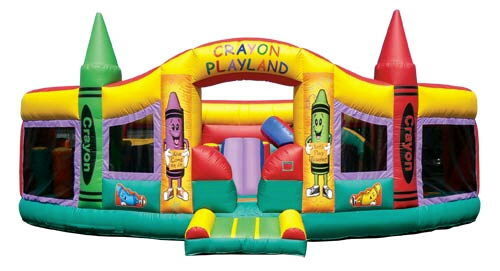 * Please call us for any questions on our inflatable crayon obstacle rentals in Cornelius NC, Lake Norman, Mooresville, & Davidson, North Carolina.